Small Vs. Spendy: Which Cards do you Pay Off First? One of the biggest arguments in paying down credit card debt centers around the order that you should use when paying off your credit cards. Most personal finance experts agree that you should use a specific method of debt payment. This method of debt pay down involves ordering your debts, and then figuring out how much you can pay on top of the minimum. Then, you take that amount of money, and apply it to one credit card. If you have a credit card with a minimum payment of $25, and you can afford to pay an extra $200 a month, your payment on that card becomes $225. 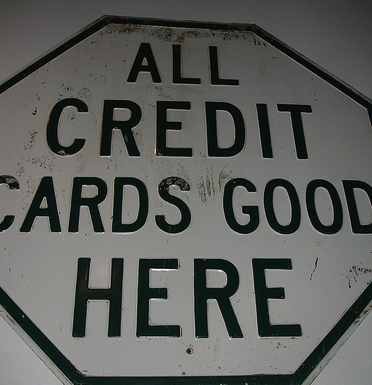 You keep paying the minimum on all your other credit cards. During this time. Once your card is paid off, you move on another card, transferring the entire amount ($225 in our example) on top of the next minimum. The real disagreement comes in when it’s time to order your debt. Should you pay off the smallest balance first? Or should you start with the card sporting the highest interest rate? The biggest argument in favor of paying off the smallest balance first deals with psychology. When you start with the smallest balance, you see more immediate results — especially if there is a lower interest rate on the card. More of your payment goes to the principal so you see a bigger reduction in the balance, and it doesn’t take as long to have the card completely paid off. Once you have paid off that first credit card, the feeling of accomplishment motivates you to keep going. Since you transfer your entire payment to the next smallest balance, you see that one reducing reasonably quickly, as well. You can keep up your momentum. However, over the long run, there is a good chance that you will pay more in interest as you pay down your credit card debt. If you are interested in saving more money as you pay down your credit card debt, you can pay off the higher interest rate card first. This method is preferred by some because the longer you pay high interest — especially if your balance is higher — the more money goes straight into someone else’s pocket without benefiting you. By getting the higher interest rate out of the way first, you are eliminating the most expensive debt while interest accrues more slowly on your other credit cards. The downside to this method is that things start off slow. You may not see dramatic progress at first. You need to have the discipline and the emotional fortitude to see it through. However, as you progress to other balances with lower rates, you will eventually see increased progress. What you choose to do depends on your money personality. If you need the encouragement of paying down a debt quickly, paying off the smaller balance is better, even though you will pay more in the long run. It will keep you from becoming discouraged and giving up. On the other hand, if you are more interested in the bottom line, and you can see the end result without become discouraged by the slow start, paying down the highest interest card first is the best bet. What do you prefer: Paying off the smallest debt first, or getting rid of the higher interest rate? Pay off highest interest debt first whatever it takes. Otherwise your high APRs are taking away your hard earned money! If you can, get lower interest credit and transfer highest interest debt into it. Personally, I prefer to pay off the lowest balances first (debt snowball). My reasons are that I like to see immediate results and also I believe that if someone if in the process of financial recovery, watching their minimum monthly budget decrease will be motivating. It also gives a person more flexibility in that they have some extra room in the budget if needed as the monthly amount being paid to debts grows over time. When I began reading this article I was so excited – I thought, finally! an answer to a question I have always asked myself! but sadly, there’s no answer to be found, only opinions – I myself am a pay down the smallest debts first – I need to see results -but truthfully, as long as you’re paying down those debts, whichever path you take is the right path! I prefer to put things in simpler terms: I have one card at 1% rate and another at %100 rate. Both have the same balance – $1,000. Which one do you pay off first? My answer is always the card with the highest interest rate, every time. If you are going to put out a fire…are you going to start with house or the small shed in the backyard? I prefer to pay of the high interest cards off first, but of course, you could do a little bit of both as well. What if you’re in the situation where the higher balance has a lower interest rate and the lesser balance has a higher interest rate? Which do you pay off first? e.g. Card A has a balance of $10,000 @ 9% APR; Card B has a balance of $3000 @ 14% APR. As always, it’s up to you. If you decide to pay of the highest interest rate first, that’s what you do. Pay of the high interest credit card first, so pay off the $3,000. It’s actually quite convenient, since it’s a smaller balance as well. So you pay of the smaller and get the emotional boost, and you pay of the card with the highest balance. Personally I’ve advised my clients over the years to target the smallest balance debts first so they get immediate motivation that the the slog out of debt is having an immediate and positive impact. For those that are more motivated to follow a more long term plan and focus on the best mathematical debts to eliminate then a tool like ReadyForZero.com is a great solution. If you pay off the small balance first you eliminate that liability completely. The minimum monthly payment is now available to apply to the other card or used as needed elsewhere in your finances. If you concentrate on the higher balance card, regardless of the interest rate between the 2 you will have the payment on both cards for a lengthened period. Paying down the smaller balance first immediately improves your monthly cash flow.